Mixing pratfalls and easily identifiable comedy types with frequently exotic and/or historical settings and a fondness for dressing up, the Carry On comedies position themselves somewhere between the established traditions of British music hall and the seasonal panto. The 31 films in the series (if you include That's Carry On , a compilation film released in cinemas in 1978) were all made by the team of producer Peter Rogers and director Gerald Thomas between 1958 and 1978, with the belated Carry On Columbus appearing in 1992. Rogers always kept costs low by insisting that the films not have a single star, although a core roster of key players quickly emerged. The most prolific were the neurotic Kenneth Williams (26 appearances), the libidinous Sid James (19) and the campy Charles Hawtrey (23), while there was formidable female support from Joan Sims (24), Hattie Jacques (14) and Barbara Windsor (10). After using National Service as a backdrop for the first entry, Carry On Sergeant (1958), Rogers , Thomas and writer Norman Hudis moved on to other recognisable institutions in the various follow-ups, including the medical profession in Carry On Nurse (1959), the police force in Carry On Constable (1959) and education in Carry On Teacher (1959). After Talbot Rothwell took over the scripting duties in 1963, the approach was broadened into an even more popular series of parodies of many film genres, such as the Bond films ( Carry on Spying , 1964) and Hammer horror movies ( Carry On Screaming , 1966). They also become much more reliant on sexual innuendo, silly names and cheerful bawdiness. Peaking commercially and artistically in the 1960s with such spoofs as Carry On Cleo (1964) and Carry On Cowboy (1965), perhaps the best of them is Carry On... Up the Khyber (1968). In it Sid James and Joan Sims appear as Sir Sidney and Lady Ruff-Diamond, Charles Hawtrey is Private Widdle of the Third Foot and Mouth Regiment, and Kenneth Williams plays Rhandi Lal, the villainous Khasi of the Kalabar. 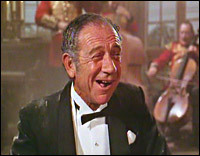 In Spring 2003 Rogers announced the series' return with Carry On London , set in the world of limo drivers.